In a word, "stunning." Just cross a small bridge over a peaceful creek and you've arrived... 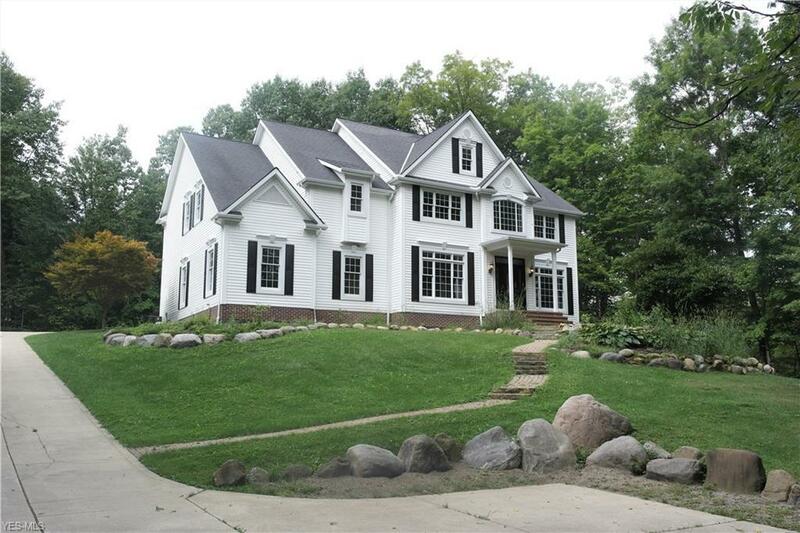 This fabulous home sits majestically atop of a hill on 3 private, park-like acres. 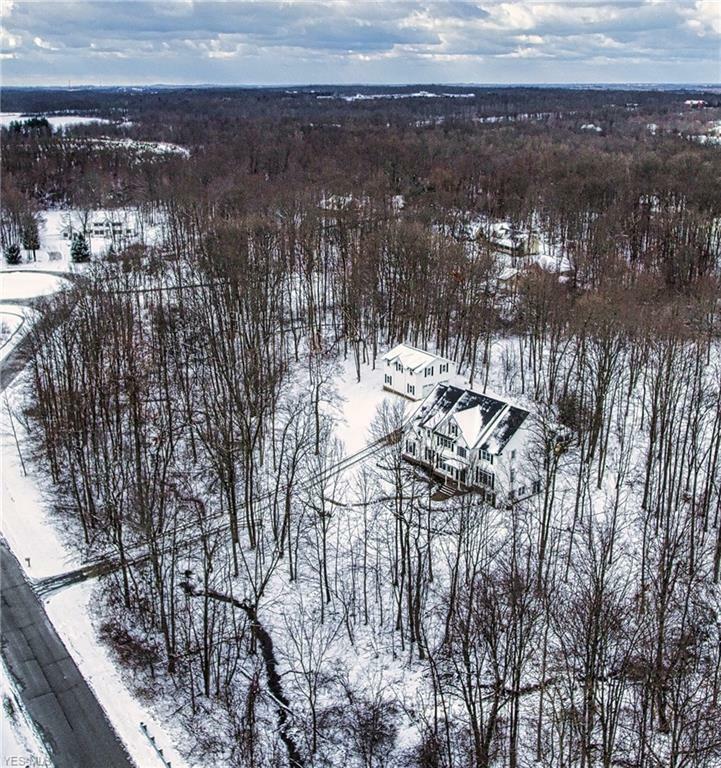 Exceptional quality, workmanship & meticulous attention to detail is the hallmark of this absolutely gorgeous & completely renovated 5 bedroom, 5 full bath colonial. With loads of natural sunlight & neutral decor throughout, the interior is freshly painted & boasts a gourmet eat-in kitchen with island, quartz countertops & high end (Fisher & Paykel) appliances. A spectacular two story great room w/ a wall of windows. A grand two story foyer w/ refinished hardwood floors (Ash). 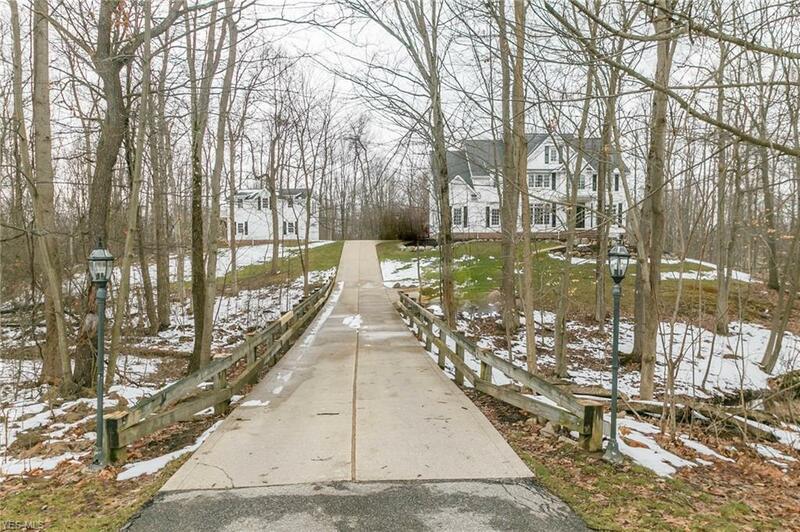 Formal living and dining room w/ large windows, crown molding, & gorgeous wainscoting. Convenient first floor bedroom could also be an office. All above grade bedrooms have direct bathroom access. French doors to the second floor master w/ tray ceiling & a fabulous en-suite glamour bath w/ vaulted ceiling & walk in closets. A second floor laundry room & wonderfully appointed bedrooms. The finished lower level features a sprawling recreation room w/ access through sliders to the side paver patio, an awesome media room that could be a 6th bedroom & a gorgeous full bathroom. The out building is plumbed and serves as an additional 3 car garage - also perfect for housing all those grown up toys - jet ski, snowmobile, boat etc... The second floor is enormous - a perfect recreation room getaway. Awesome!!! !